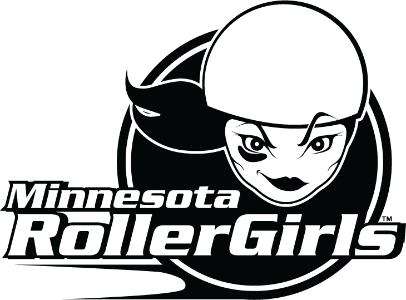 SAINT PAUL, MINN. - The Minnesota RollerGirls (MNRG) will host their next bout on Saturday, Feb. 23 at 7 p.m. in The Legendary Roy Wilkins Auditorium. It's the semi-finals. The Dagger Dolls are taking on the Rockits while the Garda Belts are battling the Atomic Bombshells. This month, MNRG are partnering with the Wildlife Rehabilitation Center and longtime partner the Ann Bancroft Foundation. This year's season-long charitable beneficiaries are the Ann Bancroft Foundation's Let Me Play Grant, which funds athletic and dance equipment or participation fees for girls ages 5 through high school graduation, and the Wildlife Rehabilitation Center. The Wildlife Rehabilitation Center provides quality care for injured, sick or orphaned animals. Please bring pillow cases, large bath towels, canned air, or gift cards to Fleet Farm or Joe's Sporting Goods to support the Wildlife Rehabilitation Center's efforts. Bring an item for the Wildlife Rehabilitation Center and receive $2 off your ticket. Doors open at 6 p.m. The first 200 fans to arrive will receive a limited edition t-shirt. Get there early for the pre-show featuring Pros of the Rope, a youth-focused, jump roping organization that promotes fitness and fun. The half-time show will feature Purple Funk Metropolis. After the bout, join the Minnesota RollerGirls for the official after party at Tom Reid's Hockey City Pub in St. Paul.